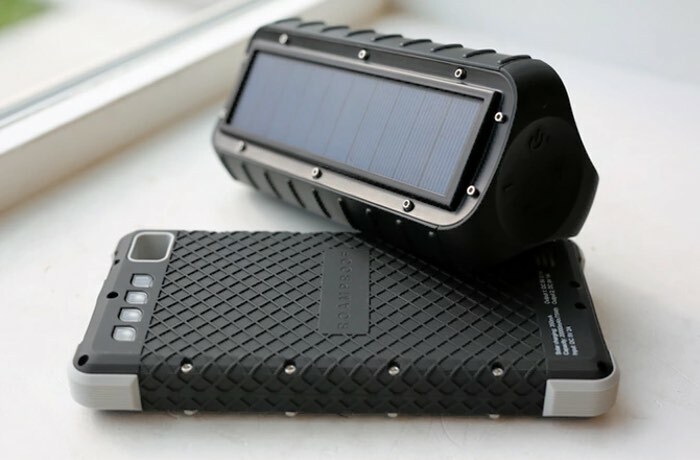 SOS PowerBank has created a rugged solo Bluetooth speaker called the MacroBoom which it says has been designed specifically for audiophiles and is capable of understanding both the outdoor elements and plenty of knocks and bumps. The MacroBoom has IP67 WaterProof and ShockProof certification and is capable of being charged by the integrated solar panel and is equipped with 2 x Full Range Drivers and 2 x Passive Radiators. Check out the video below to learn more about this small Bluetooth speaker system that is capable of providing up to 15 hours of playback on a single charge. As developers explain more about the inspiration, design and construction of their rugged Bluetooth speaker. Last year we launched what might just be the most durable solution in portable power ever created. We called it the SOS20K. It has survived helicopter drops from 10,000 ft, fast moving rivers, throws from 3-story buildings, 1/2 mile off-road drags, and shots out of a pneumatic cannon. Now we’re bringing that life-saving durability and power to a new device – MacroBoom. 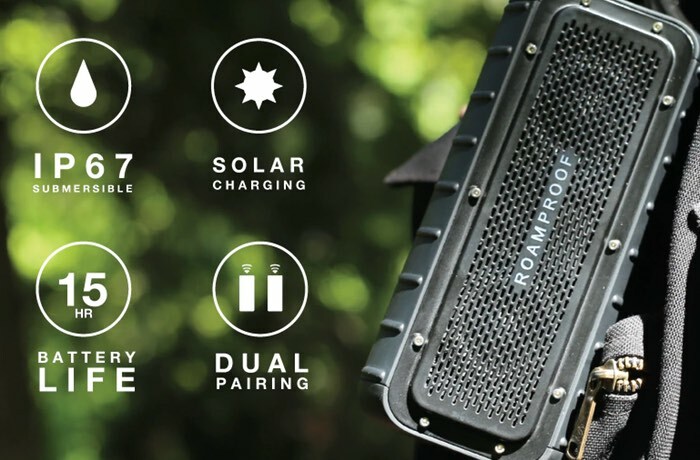 This highly portable, solar charging, IP67 water/dustproof, shockproof, daisy-chaining, bike/surf/sky-mountable emergency battery & bluetooth speaker takes rugged sound to a whole new level: one that will impress adventurers & audiophiles alike. Speakers of comparable audio quality cost upwards of $200-$300; others sacrifice audio quality in the pursuit of solar power/durability. We’d like to thank you for helping bring the MacroBoom to life, by offering it here for nearly half the price of some of our competitors, with the promise that we haven’t compromised or cut corners. Starting at only $125. For more information on the new MacroBoom jump over to the Kickstarter website for details and to make a pledge by following the link below.